I mean, the heading gives you all the information you need to know. Or does it? No it doesn't. Here is a transcript of the poem Marsh recited when receiving her appointment as poet laureate. Despite, my annoying introduction to this great announcement, you should most definitely click through and read about what the appointment means from her perspective. From one wahine toa, to two more. There are a couple of kōrero coming up from two bosses of the GLAM sector. This will be the first time that I've heard Ngahiraka speak and am looking forward to hearing her whakaaro on the following: "Her curatorial interests strongly relate to old knowledge and new understandings within indigenous sites of knowledge, to generate awareness of the value of culture." Speak. On. It. Given how revelatory I have found some of her writing on art to be, I'm really looking forward to hearing her talk. In October Dr Huhana Smith will be giving the yearly Dr Michael Volkerling Memorial Lecture at Te Papa. Huhana will speak on her personal explorations into the intersections between art and the environment. 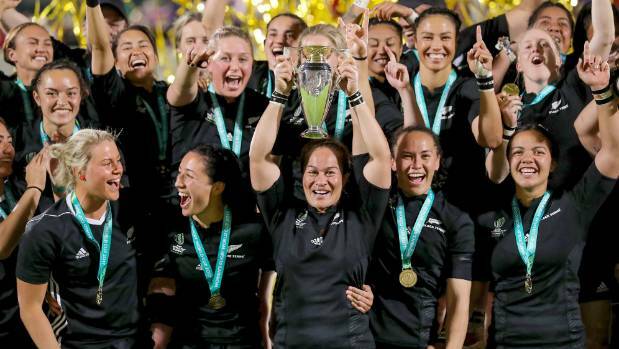 Sunday morning was a riot as I watched my first ever match of a Black Ferns game, and they only won the bloody world cup! I was amazed at the hype for the game and how many of the players had already become household names (in my whānau households at least). Also, I kept one eye on twitter and there was a huge following on there too, it caused a bit of nostalgic yearning for my teenage years as a halfback (there's no going back, gotta get over it!). And YET, it. Is. Not. Enough. To. Get. These. Women. Professional. Contracts. When will life be better? In the lead-up to next years Suffrage anniversary, we've been thinking about voting at Te Papa and asked a few women across the organisation to talk to us about their memories and experiences with voting. Couple this with the fact that nearly a quarter of a million people aged 18-29 are not currently enrolled, this is a huge kaupapa and we want people to understand the power and history behind this privilege. Please, talk to your whānau, talk to your friends, talk to your co-workers. Make sure we're all enrolled. Yesterday was my mum's deathday. Grief is an ever-evolving beast that is impossible to predict. Reading about the cultural highlights of one of my favvve actors, Susan Wokoma, I stumbled across the podcast Griefcast which is hosted by British comedian Cariad Lloyd. Each episode has her speaking with another comedian about someone that they have lost. I'm only part way through my first episode but already I'm grasped by the universality of death. We all experience it at some point and it's helpful to talk about it, or at least, hear someone else laugh about it! Because I'm watching GLOW at the moment and last night's episode had a scene where a character basically had to be a chemist to take a pregnancy test, let's go out with a massive bang of wahine empowerment, toss that hair! Baby how ya doin'? Feelin' good as hell!